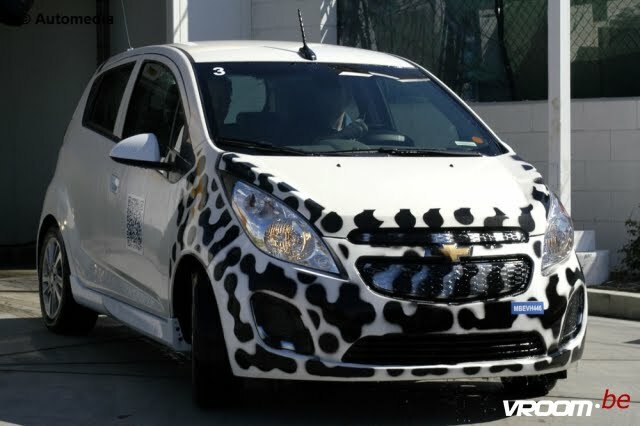 The Chevy Spark EV team is hitting the road again this weekend to complete some additional testing of the Chevrolet Spark EV, focusing on hot weather performance. The GM team will travel from Yuma, AZ, to Torrance, CA, this Sunday (June 24) to see how the Spark performs in the grueling heat of the desert. During the 305 mile journey on I-8 West, across some country highways near the Anza-Borrego Desert State Wilderness Park and Warner Springs, AZ, through Laguna Niguel, CA, up into Torrance, they’ll be paying careful attention to how the battery and drivetrain systems perform in real-world conditions. Before you ask, no, the Spark will not to travel the full 305 miles on a single charge. It will stop along the route to charge using DC fast charging. This drive will allow GM to see if they need to make any last-minute adjustments to improve overall operating efficiency.